Many Mums would want to start working out slowly after some days or weeks of a successful delivery. Most of their primary goals would be getting rid of all those excess fat which were gained during the whole pregnancy. It is also a good way to get back into shape and improve their stamina to be more active. Although there are many benefits to exercises done in delicate times like pre and post-delivery, there are some physiological advantages in the body which might be a reason for you to skip on the routines. But you can opt for easier moves like simple walk and run, or even with pram workouts. While pushing your buggy, you can already indulge in some exercises like walking and run. It’s free, less hassle, and very easy. You won’t need to follow complicated steps or techniques just to come up with the right execution. It also helps in increasing your happy hormones since they are exposed outdoors and meet fellow Moms. Pram Exercises are also a great way to improve the clarity of one’s mind. Simply push the pram and with every third step, do it extra-long and lunge forward, making your knee get closer to touching the floor. After the lunge, do a full-sized step and alternate the legs with each lunge. With one hand on the handle of the buggy, stand sideways and have the other one hand stretched up over the head. After that, bend sideways and push the buggy away, while keeping your back straight with your shoulders down and knees are soft. While pushing the buggy, kick your leg straight with every third step, making sure toes are pointed out each time. Keep your hips forward, and shoulders should be down with the back straight. 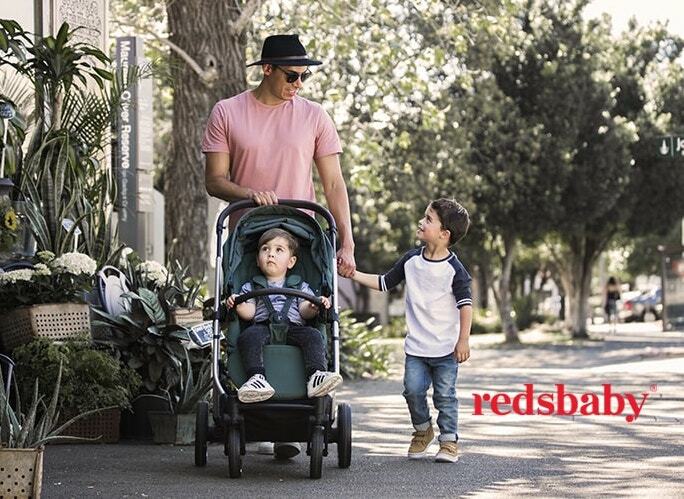 Face the pram and make sure your feet are apart. As you push the buggy away from you, perform some squats then return to the standing position. Keep your knees over your toes, pull in your belly, and use your inner thighs and pelvis during motion. Hold the pram handle from below with your palms facing upwards then bend your knees while keeping your back straight. Walk forward while maintaining that height and position. Even the simple handlebars can help you since it aids in correcting and maintaining the proper posture. The buggy needs to be set up properly, one that suits your height so it would be ideal to have an adjustable handle. Feeling down? Anxious? Depressed? Exercising can help ease those feelings. It immediately gives you a dose of happy hormones and a walk around a block would cause you to feel happier. It would also be a good way for you to meet other people, especially Moms who are just like you. Or it can be a bonding time for your baby; your husband can also come together with you. – Exercises will help babies have some time on their tummies, which helps in strengthening muscles which are vital for crawling and walking. – Baby will learn to be independent as early as now since Mom will not be able to hold him/her while exercising, although she is visible. – Babies will be stimulated through different faces, bright colours, upbeat music— all those will tire them out in a good way. Taking your baby out for a brisk walk brings you so much more benefits. You get to bond with baby, take care of your body, and you can also burn those calories. The list of its benefits can go on. Just remember to ask for the go signal of your doctor before doing any exercises. Alison is the chief blogger at BabyJoggerStroller.co, a one stop shop for Best Jogger Strollers.